Grassroots organizations have been crucial in these efforts. 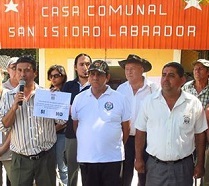 The municipality of San Isidro Labrador forms one node in an impressive network of popular organizations that connect rural communities across the country. Three entities—the Association for the Development of El Salvador (CRIPDES), the Association for the Cooperation and Development of El Salvador (CORDES), and the Association of Communities for the Development of Chalatenango (CCR)—have formed the organizational backbone for the two referenda thus far. While local affiliates have done most of the actual organizing work, the headquarters have helped with publicity, training, legal aid, and other assistance. Most of these organizations are members of the National Roundtable Against Metallic Mining, a national coalition of grassroots groups, NGOs, academics, research centers, and religious organizations. Although the communities of Chalatenango no longer face this scale of violence, multinational mining companies have proven no less determined than the large landowners who organized the death squads of past decades. In recent years assassins have murdered at least three anti-mining activists in the neighboring department of Cabañas. But obstacles remain. At the national level, the FMLN party that holds the presidency lacks sufficient votes in the legislature to pass an anti-mining law. 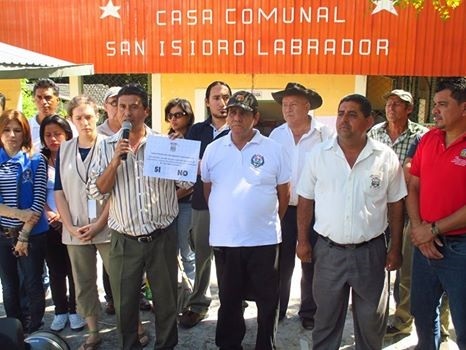 At the local level, many communities lack San Isidro Labrador’s active social organizations and shared tradition of struggle. Many organizers attribute the violence in nearby Cabañas department to the fact that communities there are less organized and cohesive, which has made it easier for mining companies to divide them.